Kelston have partnered with several Companies to develop and supply special purpose Electro-Mechanical Linear Actuators for a specific requirement. Driven mainly by precision Ball Screws and occasionally Roller Screws, we have designed and built Actuators with a load capacity of up to 500kN, so far! If you have a specific load, speed, Envelope, Environmental, Dynamic or Quality requirement and can’t find an off the shelf product, we would like to talk to you. 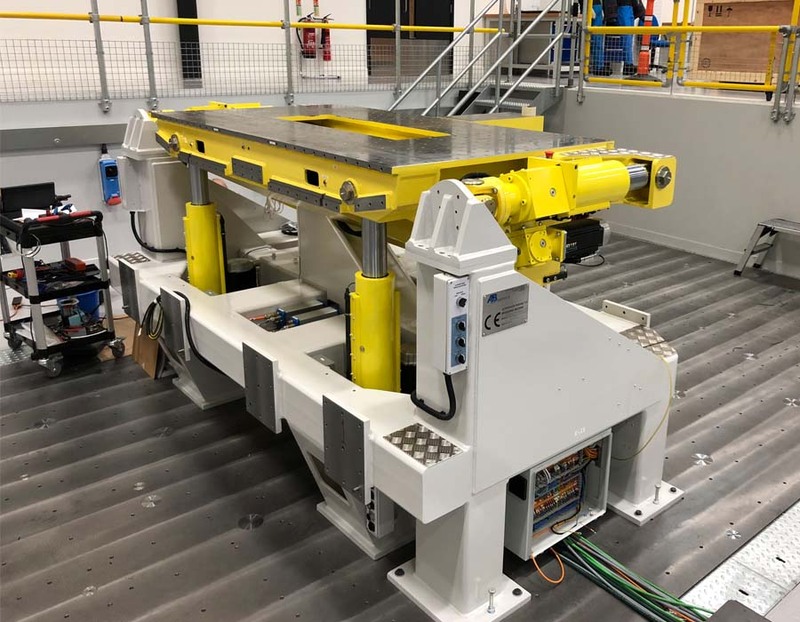 Anthony Best Dynamics supplies advanced testing systems to the global motor industry for both research and development and for production quality control. 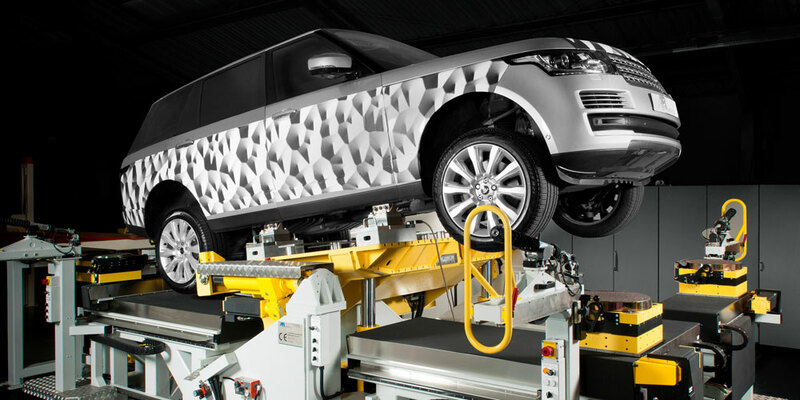 The company’s Suspension Parameter Measurement Machine (SPMM) measures the kinematic characteristics of a vehicle’s suspension and steering system. It is driven entirely by electromechanical actuators designed and manufactured by Kelston. The first SPMM was installed in 1996. Its design has been continually updated and the latest version (SPPM 5000) can accommodate large vehicles with a maximum wheel base of 4,450mm and a nominal load capacity to 5,000kg. A set of six actuators perform linear movement on five different axes. Each actuator is driven independently by its own servo motor drive. The actuators are fitted with positional control switches, which along with the servo motor, integrate with the SPMM control panel. Each bespoke actuator consists of a spiral bevel gearbox rotating a worm and wheel gearset which drives a high precision ball screw. Utilising the efficiency and durability of spiral bevel gears, our gearboxes are designed to complement our modular screw jack range and provide optimised noise and vibration characteristics. Screw Jacks are found wherever there is a need to lift, position and hold load. A Screw Jack (also known as a Jack Screw, a Worm Screw Jack, a Machine Screw Jack or a Lead Screw Jack) is a devise used to convert rotational motion into linear motion. Worm Drives are used when the axis of rotation of a shaft must change direction. 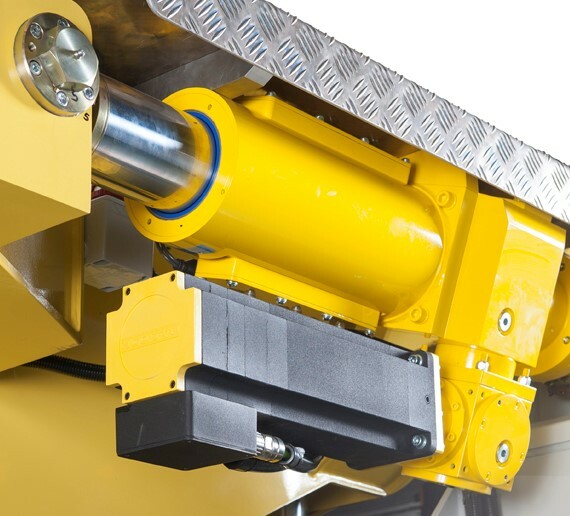 Being low-cost, potentially self-locking and providing high gear reductions, Worm Drives provide an effective means of decreasing speed whilst increasing torque. Bevel gears are used when the axis of rotation of a shaft must change direction. Providing a highly efficient and durable means of gear reduction, Bevel Gear sets have many uses.